In the heart of pineville sits this gorgeous historic farmhouse. This home offers 159 years of class and elegance. It presents a tasteful blend of modern convenience and classical charm. The owners have made many updates and modifications over the years to make the home comfortable, functional, and truly a work of art. The landscaping around this property is top-of-the-line. It takes a discerning and artistic eye to really appreciate the well-thought-out blend of plant species that beautifully accent this property. On the back patio you will find the most peaceful outdoor oasis for unwinding after a long day or hosting guests. This space includes fenced in backyard area that lends itself to all you pet owners out there. 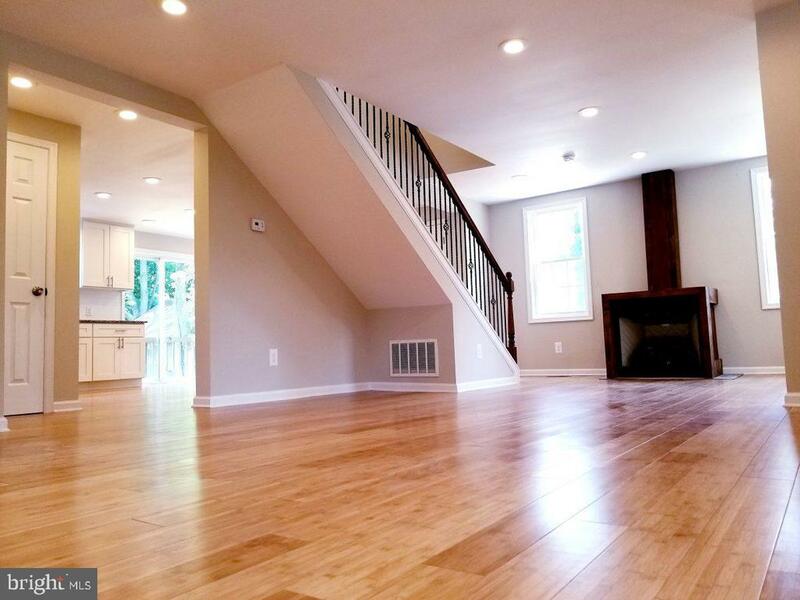 Inside you will find a first floor that is entirely covered with carefully preserved hardwood floors. On this level you have your main bedroom and full bathroom as well as a living room, great room, kitchen, dining room, and sun room that let's out to the aforementioned back patio. Upstairs you have three more large bedrooms and another full bathroom. Both interior and exterior of this home have been meticulously maintained and improved upon during the 18-year occupancy of the current owners. No detail has been overlooked! As an added benefit there is a large outbuilding towards the rear of the property. This building is served by a separate heating and electric service than the main house. It is an extremely flexible space that can easily be converted into a 4-car garage or even a commercial space. This property is zoned vc1 which allows the opportunity for the new owners to operate their business from home. Great opportunity for contractors and shop owners! The choice is yours but it is an amazing benefit to have this option! Come see this property for yourself! There will be just one open house and it is scheduled for april 13th from 12pm-3pm. I would suggest you schedule a showing or contact the listing agent as soon as possible. Do not miss your chance to own this fantastic home! 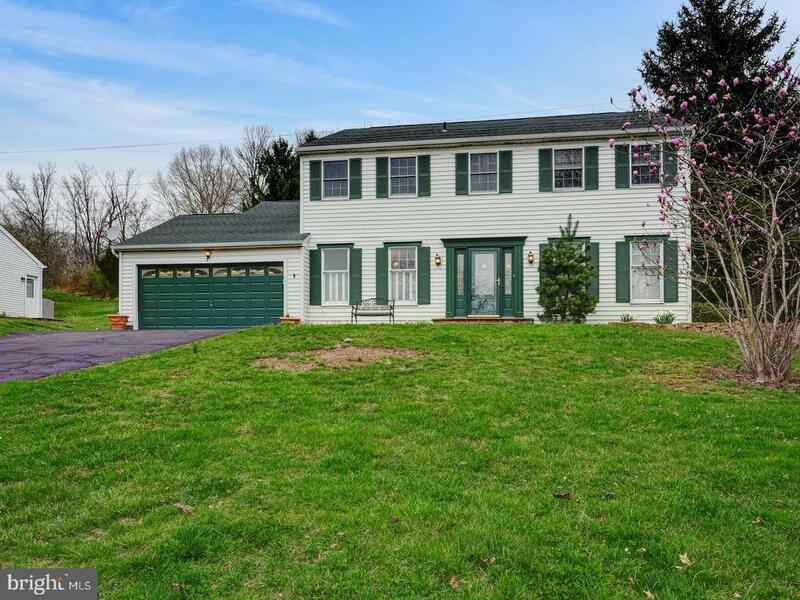 Meticulously maintained colonial commons beauty in the top-rated council rock north school district of newtown township! Tax record is incorrect, as this home has approximately 3,000sqft of above ground living space, including the walk-out lower level. Upon arrival, you'll be warmly greeted by a manicured green lawn, beautiful landscaping, and a freshly painted front entryway. The foyer, with gleaming hardwood floors, allows access to all levels of the home and provides ample storage space for coats and shoes. The well-designed main living level floor plan effortlessly flows from formal living room to dining room, and then through multiple sets of gorgeous french doors that open to a massive country kitchen and sunroom combination that will leave you dreaming of your next get-together! The kitchen boasts granite counter tops, a built-in pantry, and plenty of high-quality white cabinets. The sunroom extension has vaulted ceilings and is filled with light from skylights and a wall of windows overlooking the beautiful backyard. Head upstairs to find four spacious bedrooms with sizeable closets. The master bedroom is a truly relaxing retreat with a generous walk-in-closet and convenient, recently updated en suite master bath. Don't miss the two massive, floored attic spaces accessed via the rear secondary bedroom closet and the master suite, providing tons of storage. On the lower level, you will find another cozy living space complete with a clean, fuel-efficient coal burning stove that results in super low utility costs during the colder months! Laundry can also be found on the lower level. The rear lot is sizeable and well landscaped with even more colorful plantings, and the large deck/patio combination is a perfect addition for relaxation and entertaining. Enjoy extra privacy, without the maintenance, as the yard backs up to the neighborhood's common ground. Other noteworthy items: many rooms have recently been professionally painted, new carpeting has been installed in bedrooms and lower family room, and the hvac system is only ~2 years old! 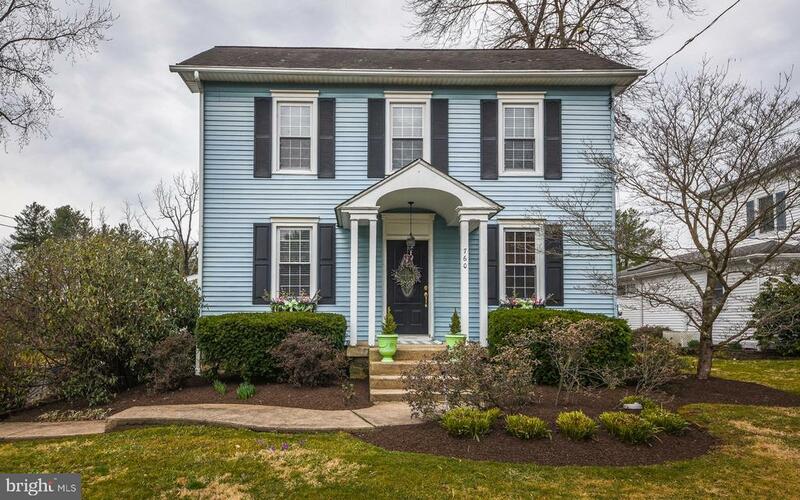 This home is in close proximity to the shops and restaurants of downtown newtown, bucks county community college, tyler state park, core creek park, wrightstown, and just a short drive to the charm of historic doylestown or new hope. It offers easy commuter access to nyc, nj, and center city philadelphia via i-95, rt 1, amtrak/trenton transit center as well as septa's west trenton and trenton regional rail lines. 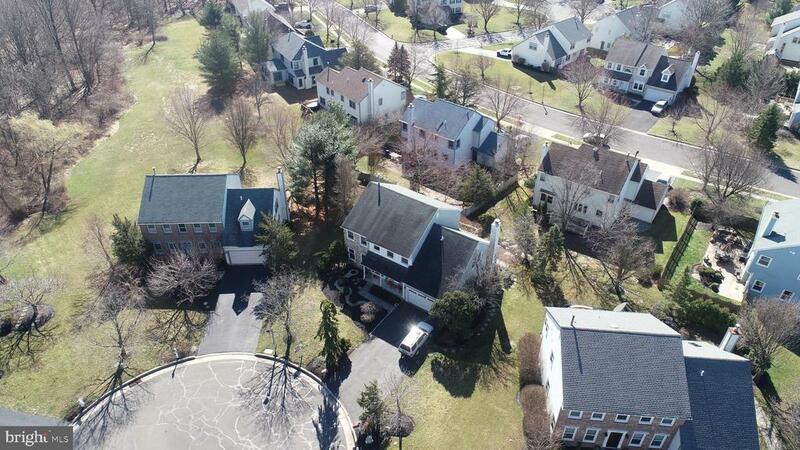 Don't miss this unbelievable value in one of bucks county's most desirable locations! Fabulous opportunity in newtown grant one of the classic floor plans at over 2400 square feet, plus a fully finished basement! 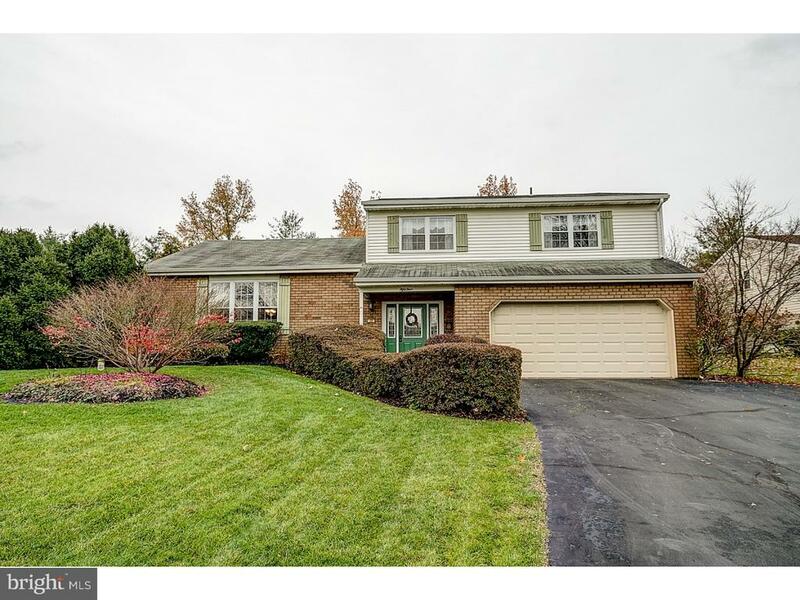 This meticulously maintained 3 bedroom 3 bath colonial home situated on a beautifully landscaped lot with gorgeous trees and an over-sized 2 car garage is just waiting for you! Enter into the two-story foyer, with gorgeous high ceilings, marvelous floors and a desired open floor plan to love! The french doors give way to a guest bedroom or den. The living room and dining room were made for entertaining family and friends. Attached to the dining room is the kitchen any chef would delight in. Amazing counter work space, custom cabinets, upgraded appliances, recessed lighting and a cozy breakfast area with picturesque views of the large rear patio and the delightful great room with fireplace and exit to the back yard. The separate laundry room has access two car attached garage with plenty of space for parking and storage! Overlooking the great room is the extra entertainment area which can be turned back into a bedroom if desired. The master suite has 2 huge walk in closets and a full bathroom with soaking tub and stall shower. The home also has a finished basement which contains the 4th bedroom suite with a separate sitting area for games and television. There is a new heating and a/c unit. Newtown grant offers low hoa fees and superior amenities with walking trails, playground area, basketball courts, clubhouse and swim club, sand volleyball, and tennis courts. Close proximity to major roads, shopping, and belonging to the highly acclaimed council rock north school system, you simply cannot ask for more. 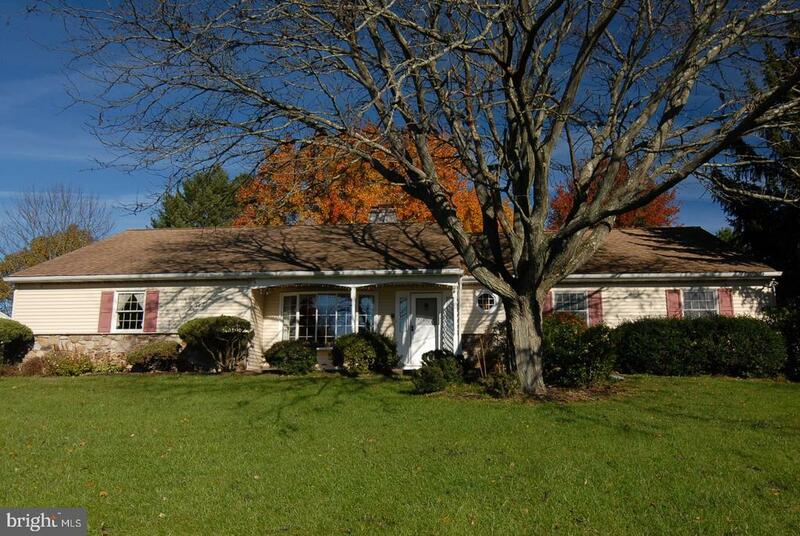 Lovely split-level home on one (1) acre (double lot = 53-013-006/53-017-029) in desirable wrightstown township, bucks county! This home is situated on a private street, with no outlet, ending at your neighbor's horse farm! A new, updated septic system will be installed, once escrow is secured, providing years of stress-free living!! The park-like setting and country living invites you into this home's spacious formal living room with vaulted ceilings and a huge 12' bay window. The main level also includes a formal dining room and a recently upgraded large kitchen. New solid-wood cabinets, granite counter tops, and new appliances make this space a chef's oasis! Right off the kitchen is a large breakfast nook with large windows drowning you in natural light while sipping your coffee. The nook has sliding glass doors leading to a huge 15' x 19' three-season porch! Here, you can enjoy your relaxing weekends after a swim in the large in-ground pool just steps away. Back inside, the upper level boasts three (3) bedrooms and a full-sized bath. On the lower level, you will find your family surrounding the built-in wood-burning stove in the spacious family room. Off the family room is a large laundry/mud room and powder room. You can also make your way out to the pool and porch conveniently through the laundry/mud room on this level. Relaxing is easy on the very large front porch, which spans the entire front of the home! Need some extra storage? In the rear yard, you will have a new 10' x 16' multi-purpose utility shed! Oil heat & central air, including an upgraded air handler and new oil tank. All windows have been replaced with commercial-grade double-hung windows. You will find hard-wood floors on every level! Freshly painted throughout with a neutral color palette. This home has tons of charm just waiting for you to settle in! Convenient shopping in newtown and richboro. Award-winning council rock school district, including the blue-ribbon wrightstown elementary school just a half-mile away! Rare opportunity to live in a council rock single for $425,000! 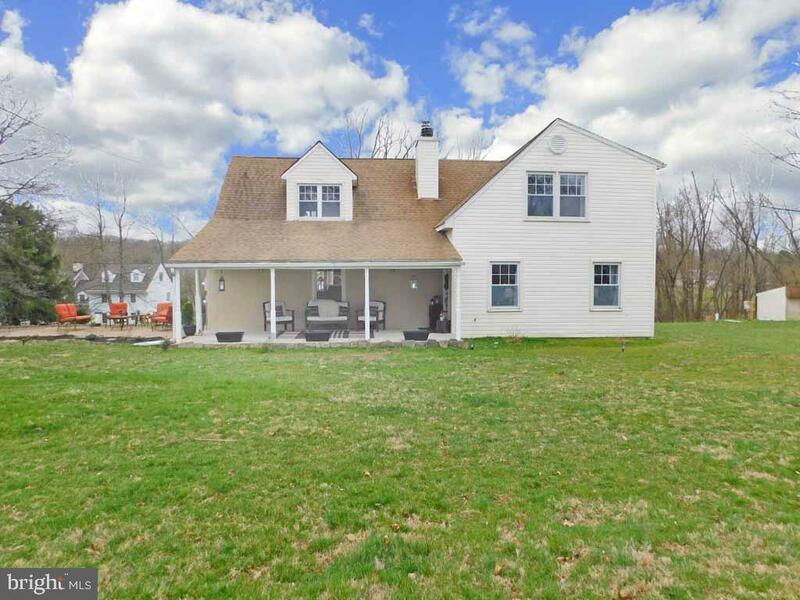 This special home is located on a small, dead-end street in wrightstown township, and has gorgeous views, privacy, and a functional floor plan with large rooms. You can have your morning coffee on the front porch and your evening wine on the master bedroom balcony! The living room has hardwood floors and a full-wall stone wood-burning fireplace. Continue to the dining room with pocket doors to large eat-in kitchen with island and opening to the two-story sunroom. Enjoy the view from the corner windows over the sink, from the kitchen island, or relax in the sunroom with a panoramic view of the yard. The family room and attached flex space with french doors to the side patio lend themselves to many uses - playroom, office, workout room, etc. A quick renovation would allow for an inlaw / multigenerational living arrangements. Access the second floor from kitchen or living room to the three large bedrooms. The master bedroom is massive and includes a sitting alcove, laundry room, dressing area, master bath, and a french door to a balcony. The two additional bedrooms are large and share a hall bath with a double vanity. New septic was installed in 2017. Wrightstown elementary school, even after redistricting! Easy access to newtown, peddler's village, and new hope. Truly, a special location. Nested in historic wrightstown, this modern-rustic home is the charm of the area. Completely rebuilt from the ground-up in 2018, this home sits on a new foundation and frame. The idea behind the design was to preserve its original 1860 farmhouse charm and modernize all features within, transforming it into a modern-rustic style home. Brand new features include: foundation, frame, front and side porch, electrical, plumbing, central air, new well pump, natural gas furnace, natural gas fireplace (1860 beams used to build around fireplace and material for shelving in the closets to preserve its historic origins), insulation, drywall, paint, new shingle roof, hardwood floors, new windows and doors, cathedral ceiling on the second floor, modern alpine white kitchen, granite counter top, stainless steel brand new appliances, natural gas range, modern-rustic fixtures throughout, 62 6-inch recessed led lighting throughout, modern vanities and grey tiles in bathrooms, wide new staircase, etc. This home has and open floor plan with 3 bedrooms, 2. 5 baths, walk-in closet in master bedroom, utility closet, living room, dining room, kitchen, unfinished basement, and shared driveway, etc. This property does not have a garage. This home is 2,100 square foot and sits on a27 acres of land. The septic tank is a few years old and is in very good condition, it was recently cleaned out and inspected by local waste management company. All inspections were performed by local inspection agencies assigned by wrightstown township and dolyestown health department. Located in a nice area with a great council rock school district. 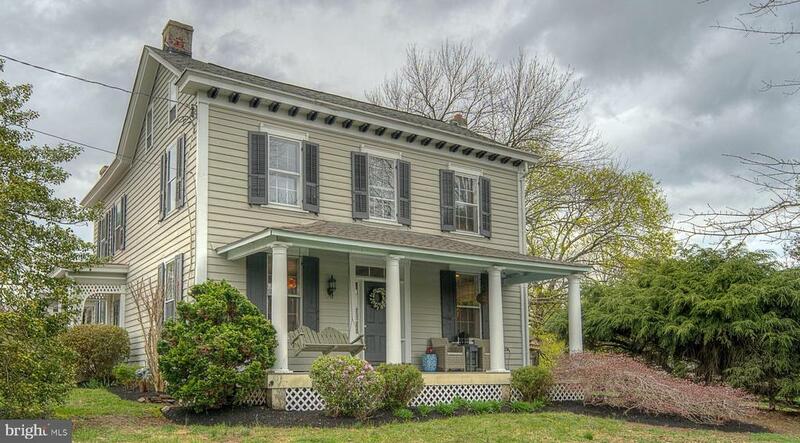 Welcome to this historic penns park farmhouse circa 1860. Enjoy village living in beautiful bucks county. History abounds throughout this quaint village and the surrounding towns. The penns park historic district and penn's park general store complex are listed on the national register of historic places. Historic, yet modern, this home has been tastefully updated with a bright modern kitchen which flows beautifully into the open floor plan of the great room. The kitchen boasts granite counter tops, two ovens, double sink and breakfast nook. The dining room and living rooms in the front of the home retain their historic roots with a built in love seat and each having it's own working rebuilt fireplaces and exposed wood floors. A full updated bath completes the first floor. Upstairs you will find 4 bedrooms and two updated full baths. Wood floors are under the carpeted areas and can be easily exposed. A walk up attic provides additional storage. Two of the upstairs bedrooms open to a balcony overlooking the rear yard. The large master bedroom has two walk-in closets and a full bath. Enjoy a cup of coffee from the balcony of the master bedroom overlooking the tranquil grounds of the private backyard. Also in the rear of the property is a 2 story barn and an attached shed which together can accommodate 3 cars. There is an additional shed which can be used as a shop.